Donate and help empower women in a safe and non-threatening environment for their effective self-defense with a firearm. Today, it is more important than ever for women to have the ability to effectively and safely handle, carry and store a firearm. 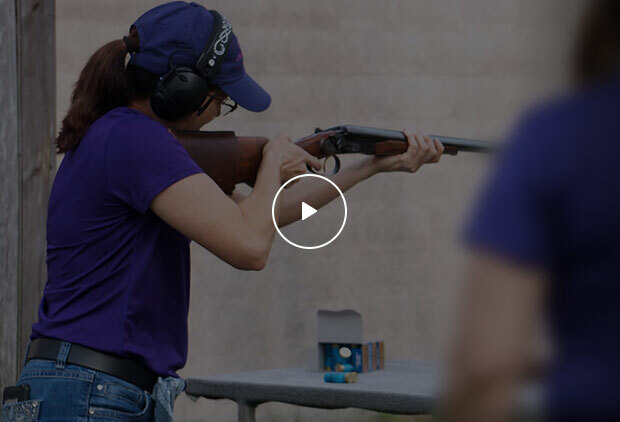 Each chapter is led by volunteer Chapter Leaders, Instructors and Range Safety Officers who give of their time to assist women as they grow as shooters. TWAW Shooting Chapters provide the focused opportunity that speaks to them as women. To accomplish this important mission, we rely on the donations from people like you. Thank you for supporting our important work. Each chapter is led by volunteer Chapter Leaders, Instructors and Range Safety Officers who give of their time to assist women as they grow as shooters. Each monthly meeting has group time for discussion on topics such as; how to clean your handgun, safe storage, understanding the laws and finding the right concealed carry holster for their needs. The women also spend time on the supervised range to practice and hone their shooting skills. We currently have 370 chapters in 49 states across the US! Teaching other women teaches me. TWAW has afforded me opportunites to travel around the country, forge nationwide relationships, and make a feminine mark in a male dominated industry! Now in my mid-60’s, I face the hard truth that my youthful mind and aging body are at odds. Rampant evil exists; I need a means to level the field and give me a chance to survive an evil encounter. TWAW is that means. We are living in a time that is marked by change. In every aspect and on every level, life is not what it used to be. For women, today’s new reality requires some major changes.​ One significant change is the woman’s journey from being the protected to becoming the protector.